If you've followed me for some time now, then you know we are Star Wars fans. We are probably counting down the days to the movie more than we are counting down the days to Christmas. And, yes, we've already bought tickets. So today's giveaway should come as no surprise. However, just because we couldn't use them doesn't mean that someone else can't! 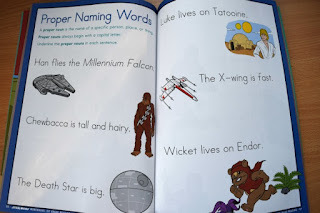 If you have a house full of little Star Wars lovers, then perhaps this giveaway is for you? 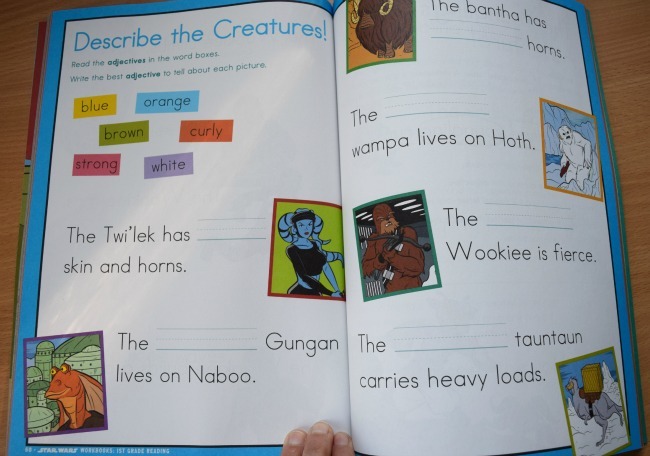 One MommyMaestra reader will win a set of workbooks for 1st grade. 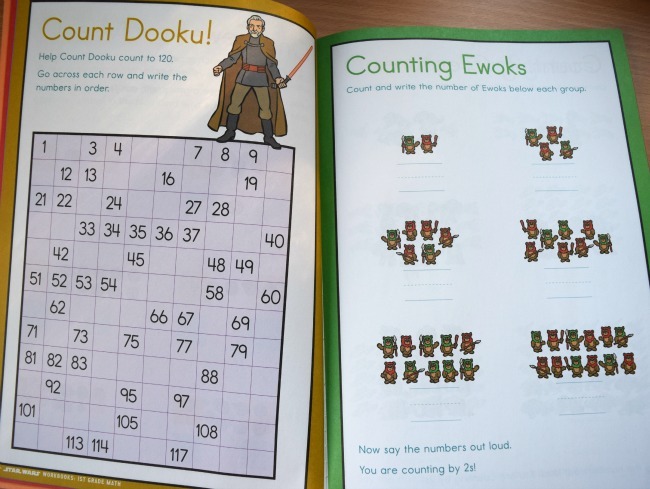 These two books focus on Math and Reading. The books come from the creators of the Brain Quest series - one of my favorites. I've used Brain Quest workbooks every year with my kids because they are a fun and engaging way to teach children important concepts. 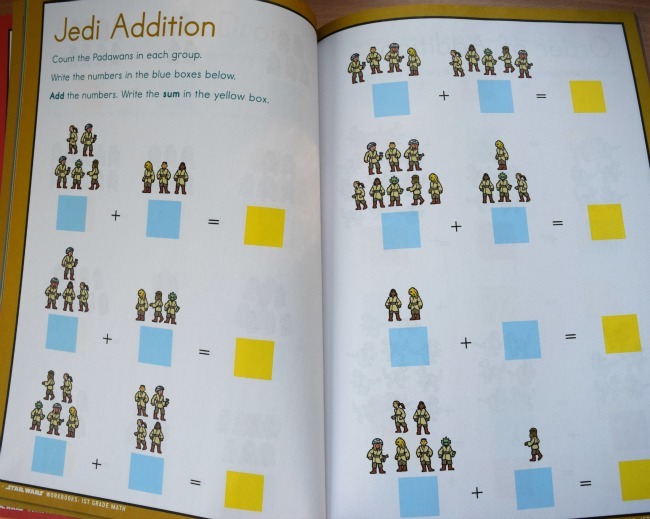 In math, your child will learn important concepts such as their numbers up to 120 by counting Ewoks and other characters, addition & subtraction with Jedi Addition, and word problems by reading about Tatooine. In reading, your child will learn to read and write and phonics concepts, such as short and long "a" and ""sh," or basic grammar skills such as identifying nouns, verbs, and adjectives. 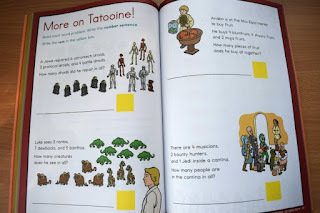 The reading passages are cute and include fill-in-the-blank sentences to develop comprehension. 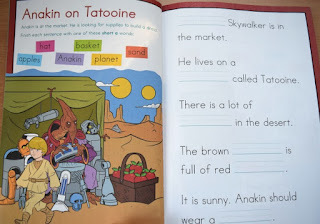 It includes spelling and vocabulary lists, too. Both books are aligned with Common Core State Standards (which is a negative in my book, but maybe not for you). 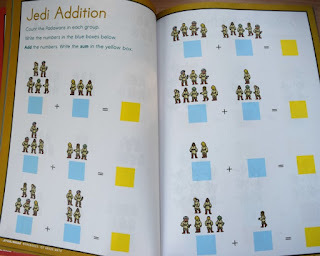 If you have a 1st or 2nd grader, these books are an excellent, fun way to practice those basic skills. If you have a kindergartner or preschooler, then you should get these books and just save them until your child is ready to use them. 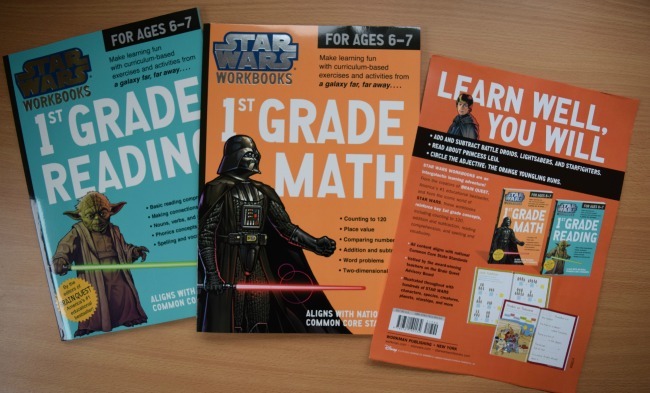 OR you can go buy the books for pre-k and kindergarten here (aff link). To enter to win the two books shown above, simply use the Rafflecopter below. 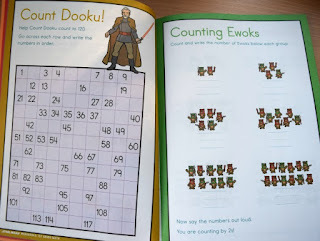 You know we love Star Wars and I think these would be perfect for motivating my baby boy to practice his skills! I really appreciate your reviews! I would love to use these books.